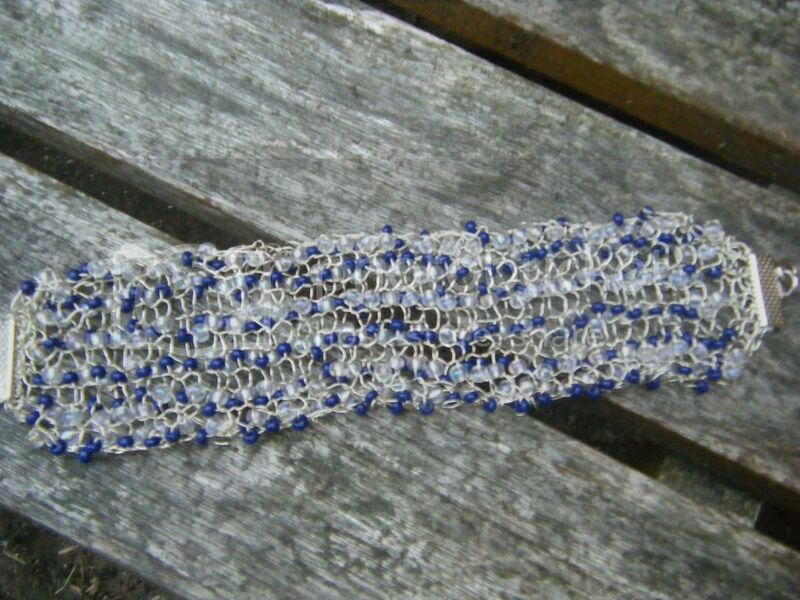 A long time ago I knitted a wire bracelet with beads. 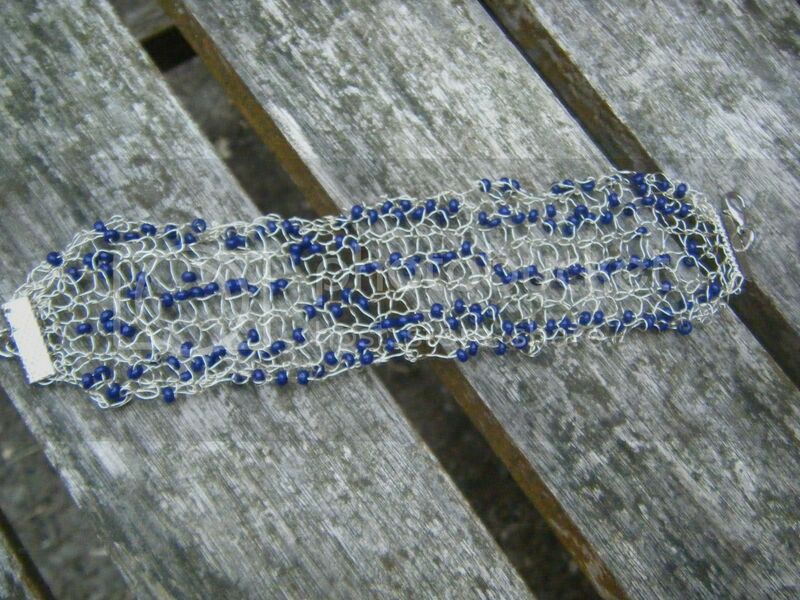 It was in my shop and recently I was contacted by a lady who'd seen it and wanted one, but with navy beads. 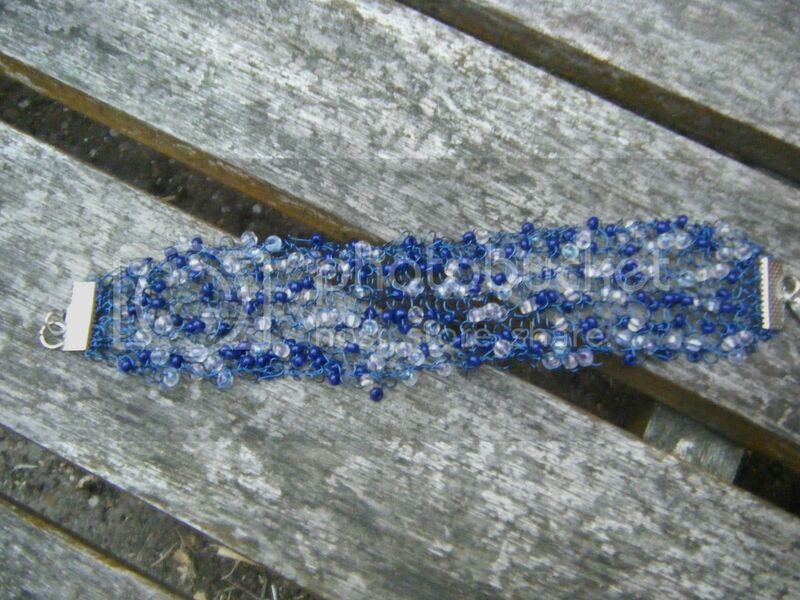 As I started to search for navy seed beads (not easy to find! ), I found out it was to wear on her wedding day! Wow, what an honour. And now I was terrified. I had to get this right. 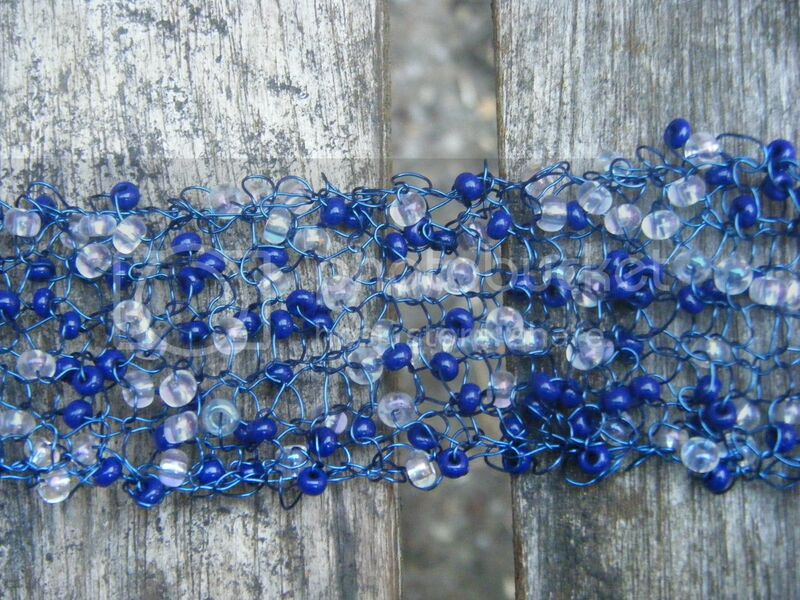 My first attempt was with silver wire (about 0.22mm) and Preciosa seed beads in a size 8 I think. Preciosa make the most beautiful seed beads with a wonderful lustre and these photos do not do them justice. My client has suggested adding in clear beads, so I tried that, alternating between navy and clear with one bead per stitch. The bracelets are 7 stitches wide, but the first stitch on each row is slipped to neaten up the edge a little. Attempt 3 was with navy wire (from Wires) and both types of seed bead, threaded on completely at random then knitted - 1 bead, 1 empty stitch, 2 beads, 1 empty stitch. I like the randomness of it. This is also the only one I got a decent close up shot of! Having said that, the navy beads are actually more navy than that. 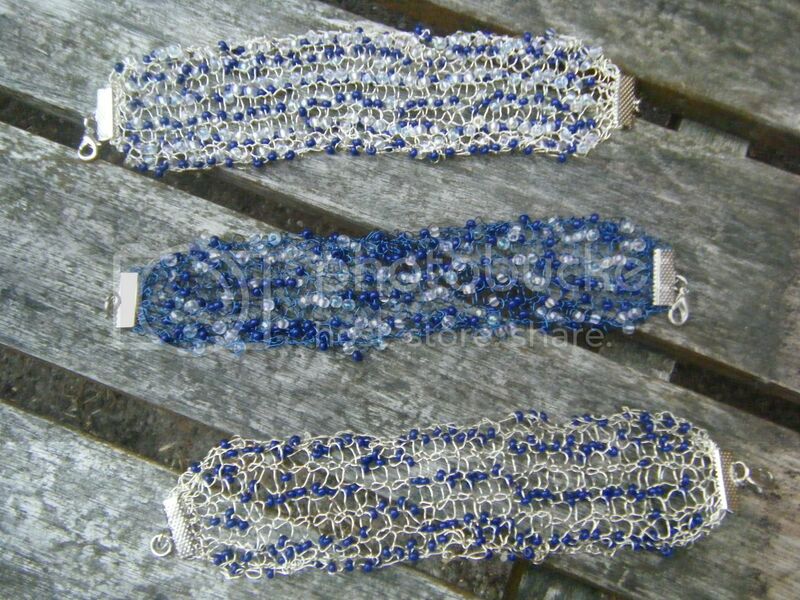 Super neat looking bracelets and knitted with wire and beads! Very cool. Those are cool! I bet she'll love it! Oh... all three are so pretty. You did beautiful work on each of them. They are a pretty nice accessory. Love the colours.